A new UK conference has been announced that will unite developers and educators, in order to tackle the skills crisis harming the UK games scene. 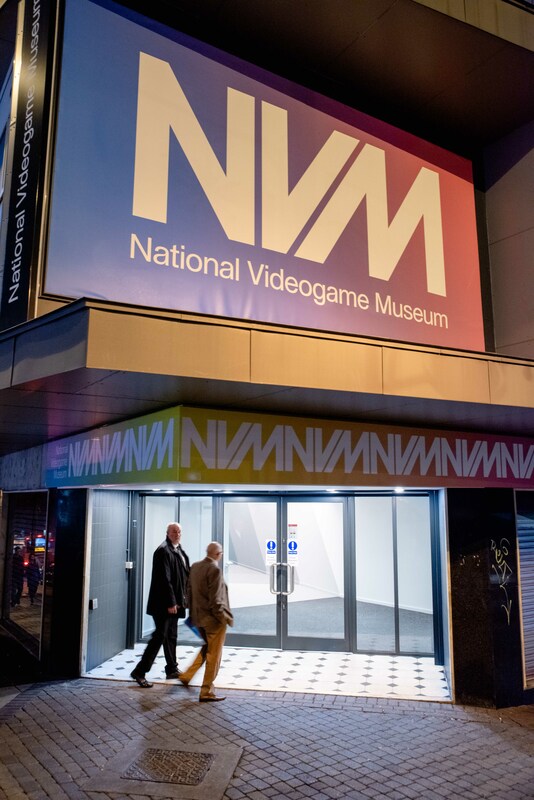 The BGI will launch the Games Education Summit 2019 at the National Videogame Museum in Sheffield, with the event spanning two full days between April 15 and 16. "This conference takes a strategic view of games education today, informing course leaders and studios about where the opportunities and challenges lie," the BGI's Ian Livingstone said. "The Summit will focus the debate on how UK studios and educational establishments can work together more effectively." UCAS currently lists nearly 350 under-graduate and post-graduate games courses, with 550 scheduled to start in 2019. It's anticipated that these courses will be even more significant to the UK development scene after Brexit, when attracting overseas talent will likely be more challenging. "Brexit has sharpened the focus on the talent pipeline and how we fill the skill gaps and shortages we face," said Marcia Deakin, games partnership director at NextGen Skills Academy. "Industry and education need to work together practically to address the issues we all know we face. With the wide-ranging changes to vocational education coming with the introduction of T-levels, it is more important than ever to facilitate this conversation." It's not the first time GamesIndustry.biz has heard about the need for studios to better support education. I've experienced a situation where a family member pro-actively tried to find a work placement at a games company while at university, but was repeatedly told "we don't offer internships here." "Some studios are doing well, but many aren't," noted Aardvark Swift head Ian Goodall. "We should work to create far more opportunities for internships and industry focused assignments and student projects. We want regular dialogue with leading academics to keep them up to speed on current pipeline methods, plus the tech and tools being adopted by their studios. "There are a few small recognised graduate and placement schemes, but not enough, and many studios have no graduate scheme to speak of. There is a total lack of apprenticeships for coding, game art and animation. This is an area where massive improvement is needed. This could be a great weapon to increase the diversity of the games industry and ease the skills crisis in the long term." It's not all about the studios, of course. The industry needs to work better with educators, but educators will also need to adapt to industry needs. "Games education often has a rationalised linear structure that undermines heuristic learning and ruthless iteration, failing to reward creative exploration, reflective critical thinking and professional accountability over arbitrary outputs and grades," says Dr Chris Lowthorpe, project manager and lead academic for the Games Fusion Project, and associate lecturer in game design at London College of Communication. "It works in lines not loops. Graduates need to be curious, constantly learning, adaptable and resilient to thrive in the game industries of the future. Resilience cannot be taught, only learned. To encourage this, we need mission-oriented learning experiences that incorporate jeopardy and failure in service of learning, while mirroring commercial contexts, cultures and way of workings. Too often, current education has an aversion to jeopardy and failure." BGI CEO Rick Gibson continued: "The NextGen report in 2011 highlighted some serious issues in games education as perceived by industry and students, but in the intervening eight years we have seen great strides forward from educators, industry and third sector organisations to bridge the gap and deliver the tight collaborative loop that we all need to excel. As the number of courses grow rapidly, we need to know more about the quality of that preparation and what the industry wants from educators." "It's hard for studios to attract more diverse talent if that talent leaks from the educational pipeline"
Lowthorpe said that one of the chief obstacles educators face today is the different expectations and ambitions of the students taking the courses. "There is no typical games studio, singular route to market or predictable path to profit," he explained. "Data suggests the majority of UK game-making activity is now undertaken by small or micro studios, but that larger studios remain the biggest employers. However, companies such as Rockstar have more in common culturally and organisationally with major Hollywood studios than tiny game start-ups. "As a result of such increased diversification, game students naturally have very different career aspirations -- including entrepreneurship -- which leads to a major conundrum: what commercial contexts and realities is education preparing students for? What aspirations is it helping them achieve? Cookie-cutter graduates cannot be the answer. Sector diversity means future graduates must be equipped with both a core competency and the abilities to constantly learn and be curious, innovative, highly adaptable and resilient." The biggest obstacle to improving the education situation in the UK is, of course, the classic duo: time and resources. "It can be difficult for universities and colleges to maintain lasting relationships with industry," said Deakin, who works to solve these issues at the NextGen Skills Academy. "Similarly, the industry doesn't have time to work with every college and University to contact them. Sporadic interaction does not lead to satisfactory, sustainable results for students, colleges or employers." There are good examples out there for educational institutions and studios to follow. Dr Jake Habgood is course leader for game development at Sheffield Hallam University, and he's an advocate of project-based learning. "We've been taking a project-based learning approach in our Steel Minions game studio for some years, and it prepares students very well for the games industry," he said. "We've shipped multiple PlayStation titles across PSP, PS4 and PSVR, and nearly every student involved has got a AAA industry job at the end of it." Rick Gibson calls out Sheffield Hallam, Staffordshire, Derby and Portsmouth as universities with deep links to the sector. Similarly, studios such as Epic, Creative Assembly, Sumo Digital, Dovetail, Red Kite Games and Coatsink were all praised by our panel as companies that are great at working with educators. Many will be speaking at the Games Education Summit in April. A close relationship with education is important, but it goes beyond improving the talent pipeline. Working with schools, colleges and universities is also a way of correcting one of the industry's biggest on-going challenges: diversity. "Diversity is one of the most entrenched challenges facing games education and development," said Gibson. "It has impact on our products, our creativity, our economics, and ultimately on our audiences, who are often at least half female. The diversity challenge starts young, probably in late primary and early secondary school, when females and people from BAME backgrounds have no visibility of the opportunities presented by a career in games. This leads to a less diverse intake to academies, colleges and universities, and then on into industry. "The Summit features speakers from universities, studios and third sector organisations such as Norwich University of the Arts, Creative Assembly, London College of Communication, Women in Games, BGI, NextGen Skills Academy and Ukie, which are making a difference in diversity. Marie-Claire Isaaman and the Women in Games Ambassador programme is a great example of how a few motivated individuals working with young people can change the diversity profile of university courses and then in studios themselves." Lowthorpe agreed: "It's hard for studios to attract more diverse talent if that talent leaks from the educational pipeline, which is currently the case with females, those with BAME origins, and young people from lower socio-economic backgrounds. If we make both education and working in the sector more visible and attractive to all, we can provide a transformative educational pathway to a more fulfilling working life while increasing the competitiveness of the sector at the same time." "Both the educational sector and the game industries must think strategically and in the long term, to implement initiatives that can bring about tangible change, recognising that diversity improves the talent pipeline and the success of the sector." 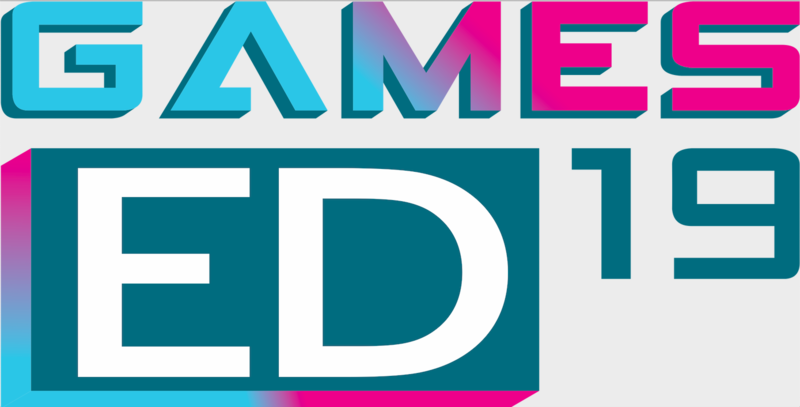 Games Education Summit 2019 tickets are available now. Speakers include all of the spokespeople here, plus a variety of senior lecturers and representatives from Rare, Creative Assembly, 4J Games, Dovetail, Rebellion, Epic and Playground Games. That's alongside industry bodies TIGA and UKIE. GamesIndustry.biz is a media partner for the event.